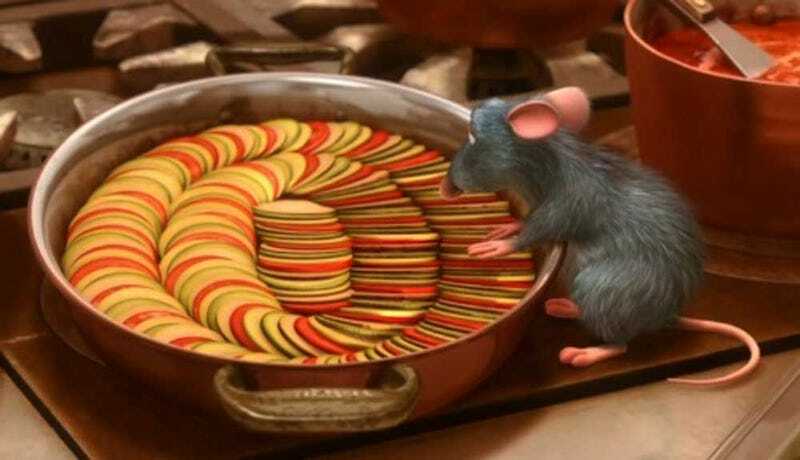 Ratatouille has never looked better than it did in the film. A perfect accordion of vegetables of different colours winding themselves in a pot glazed with visual deliciousness. Which makes sense because one of the best chefs in the world, Thomas Keller, imagined the recipe up for the animators at Pixar to make. But here it is in a real life form from the folks at ChefSteps. It’s ratatouille in a ‘confit byaldi’ style and you can learn exactly how to make it below. Vegetables have never looked so good.